Pain, burning, or tingling in the hands or feet. Unexplained lesions or wounds appearing on the fingers or toes. Taking more dextroamphetamine than intended. An inability to quit or reduce dextroamphetamine use despite the desire to do so. Spending excessive amounts of time or energy around obtaining and using dextroamphetamine. Continuing to use it in lieu of home, work, or school obligations. Using dextroamphetamine in physically hazardous situations. Experiencing a tolerance for the drug (needing more to achieve the desired effects). Experiencing physical withdrawal symptoms when cutting back on or stopping the drug. Exhibiting or experiencing some of the above signs and symptoms within the last 12 months may indicate the presence of a substance use disorder. If you suspect that you or someone you love has developed a substance use disorder, addiction treatment can help. For most people, detox represents the first step toward achieving sustained sobriety. During the detox process, the body eliminates the dextroamphetamine and any other toxic substances from its system.6 As part of a detox program, a patient receives supervision and medical intervention, if needed, during the acute withdrawal period. 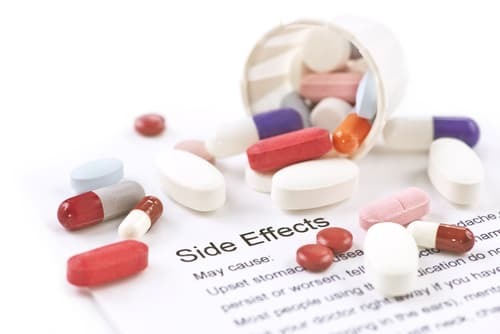 While it is possible to detox from stimulants on your own, it may not always be advisable, as certain medical and safety risks have been known to arise. For example, a very depressed patient may experience suicidal ideation during acute stimulant withdrawal; appropriate medical support would allow for monitoring of those symptoms as well as necessary intervention if needed.6 Such structure is also important for patients who may have other co-occurring mental disorders, preexisting physical conditions such as heart disease or diabetes, or polysubstance use. Detox alone is not a substitute for comprehensive substance abuse treatment, though, since it does not adequately equip the patient with appropriate coping skills for managing the obstacles that often arise in recovery. However, most detox programs provide referrals for long-term addiction treatment. Some inpatient rehabilitation programs incorporate detox into the first part of the overall treatment plan. 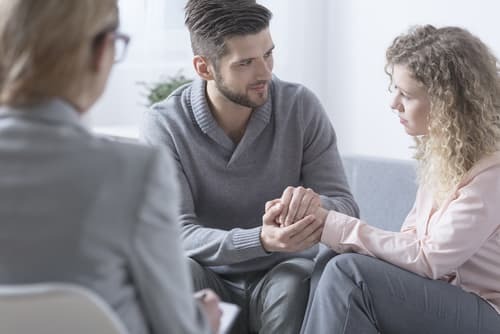 For many, recovery represents a lifelong journey, and people often stay connected through support groups, such as Alcoholics Anonymous or Narcotics Anonymous, or individual therapy to take care of their well-being. If you or someone you love abuses or is addicted to dextroamphetamine, know that hope and healing is always available. U.S. National Library of Medicine. (2018). Dextroamphetamine. Drug Enforcement Agency. (n.d.). Drug Fact Sheet—Amphetamines. Substance Abuse and Mental Health Services Administration. (1999). Treatment for Stimulant Use Disorders: Chapter 3- Approaches to Treatment. McHugh, R. K., Hearon, B. A., & Otto, M. W. (2010). Cognitive-Behavioral Therapy for Substance Use Disorders. The Psychiatric Clinics of North America, 33(3), 511–525.